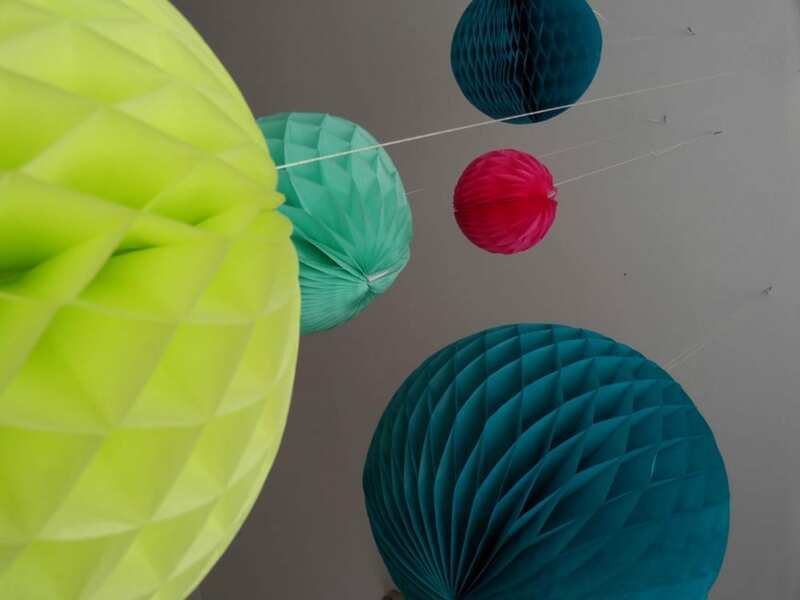 I’ve been after some of these honeycomb paper balls for a while now and so when I saw these in the Scarlett Willow catalogue I was keen to get my hands on some. Thankfully they were kind enough to send me a few samples so I could show you how great they can look. Remember these kinds of Christmas decorations from when you were small? Well they’re enjoying a very welcome retro comeback, and not just for Christmas either. I’m hoping to keep these up in my den all year round, they look so good. What do you think? I’ve got a 3 pack in Ocean which are the smaller of the 5 you can see, and then I’ve added a Large Lime, and a Large Petrol too and hung them from the ceiling in random lengths. I think they look a bit like planets. 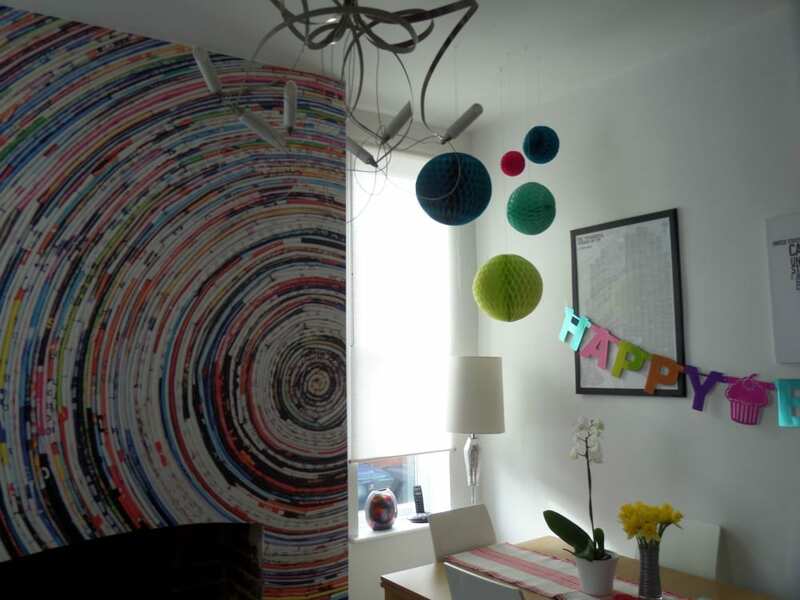 They’re such a cool way to add a little bit of interest to a dull corner and to brighten up a room in a different way. The kids will love them too. And they were great over the weekend when we celebrated a kid’s birthday. At the moment Scarlett Willow have 25% off their Honeycomb balls so the set of 3 is just £9.71, and the large individual balls are just £7.46 each. You can buy them on the website and they’ll turn up beautifully packaged, just like everything does from Scarlett Willow. I once reviewed a lovely set of table mats from them which are still going strong and get used regularly. Scarlett Willow also have these great Pom Poms which I’m quite tempted by too, probably for another room. These, of course would look great at Christmas but I think they make very cool, very retro, alternative decorations for all year round. What do you think? 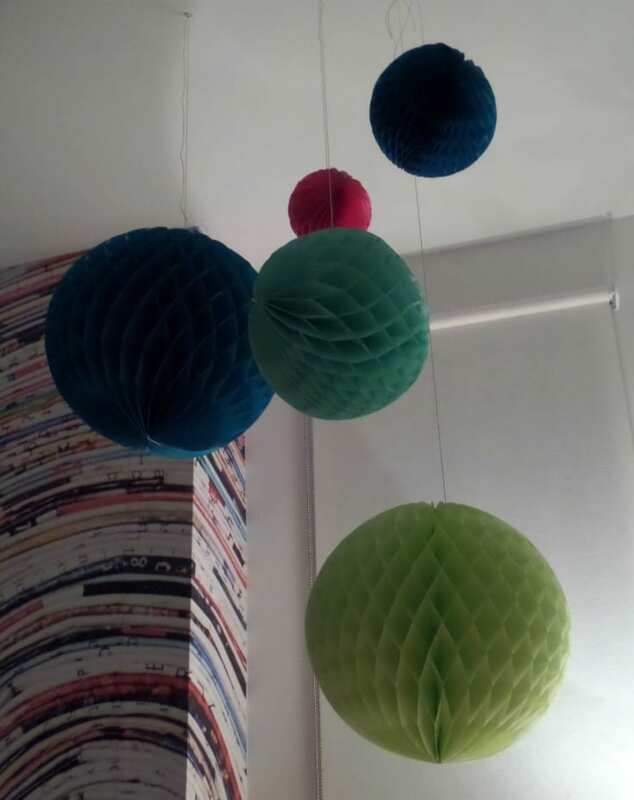 Would you like something like these balls or pom poms in your home? Disclosure: Scarlett Willow sent the Honeycomb balls for the purposes of this review. All opinions and comments are genuine, honest and my own. Your link takes me straight to the main website, though? I will hunt around a bit to find both the Pom poke and the honeycomb balls, as both are wonderful. Hmmmm. Firstly, please ignore my fat-fingered typing! Secondly, I was following the wrong link. Your first one v helpfully takes me straight to the honeycomb balls. Sorry! Hehe, no problem Rachel, glad the link works ok 🙂 Hope you get to decide – maybe just use them in several rooms, that would solved the problem!! I love honeycomb balls. I also bought some from Scarlett Willow and can confirm how fab they are. 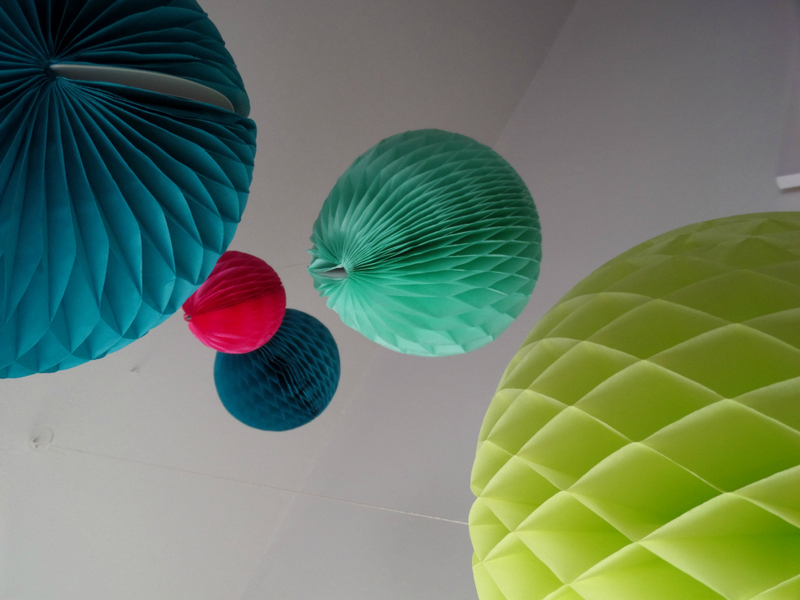 I hung them from the ceiling above my baby’s cot and he adores them. Wow, these are cool. This has given me a great idea for holiday decorations in our store, or potentially for a photography shoot we have coming up. Thanks for sharing! You’re welcome Beth, I think they’d make great props in a photography shoot – good luck! They are so beautiful, I have a feeling they are made by my friend’s friend, she has a bunch in her house and was telling me the story of them. Makes me want to get married all over again – to the same man – so I can have a 1001 white ones adorning a beautiful old church!! That’s a lovely image Luci!! I love this post and your blog! Your pictures look amazing. What camera do you use? 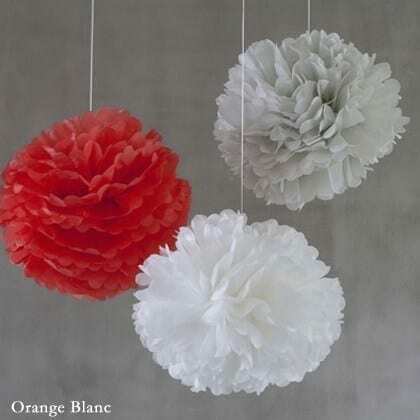 they look very beautiful in the pictures and I seem to like it very much.They will make any celebration more attractive and the pom poms are also fantastic.I agree with the fact they can be used in any kind of festive occasions decoration. I don’t think they need to be restricted to parties or above cots. I think they would (as you said) look lovely all year round! Especially the ones resembling flowers:)Definitely going to have to check out the website and pick up a few, thanks! I made some of the pom-poms for A’s birthday last year, and must admit, I kept them up for a while. Love the honeycomb ones, they are a fab pop of colour! Oh my! These are just gorgeous! These would look wonderful at a really classy themed family reunion. Or, like you said, just year round in your home. Just beautiful!